The Philadelphia Police Department arrested a suspect wanted for multiple arson. 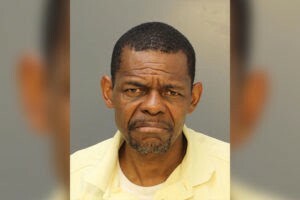 On Friday, April 7 at approximately 10:05 a.m., the Citywide Arson Task Force arrested Juan Barkley, 59, inside of his residence on the 1200 block of Ludlow Street without incident. Barkley has been charged with three counts of arson, causing or risking a catastrophe, failure to prevent a catastrophe, criminal mischief and possessing an instrument of crime. On Tuesday, Jan. 17 at approximately 5:45 a.m., an unknown black male was captured on surveillance video on the 800 block of Ranstead Street approaching a trash dumpster. He then allegedly set the trash inside the dumpster on fire and proceeded to flee in an unknown direction. Engine №20 responded to the location and extinguished the fire. No injuries were reported as a result of this incident. Then, on Jan. 27 at 5:40 a.m., the the Philadelphia Police Department City Wide Arson Task Force responded to another fire outside 710 S. Fifth St. The fire was contained to trash debris, which was outside that location, and extended to a private vehicle parked outside, causing fire damage to the left rear of the vehicle. Video surveillance was recovered that shows an unknown Hispanic or black male allegedly starting the fire by igniting the trash with what appears to be a lighter. The male then left the area on foot and was last seen north on Fifth Street, then west on Bainbridge Street. There were no reported injuries during this incident. Next, on Feb. 12, at approximately 4:25 a.m., on the 700 block of South Fourth Street, an unknown male was captured on surveillance video allegedly trying to open vehicle doors and looking at properties on the block. A short time later, the suspect returned, running in the opposite direction, and approximately 10 minutes later, a fire was observed in the rear of the Famous 4th Street Delicatessen. Engine 11 extinguished the fire, which caused cosmetic damage to the restaurant’s brick exterior, as well as melted phone lines.